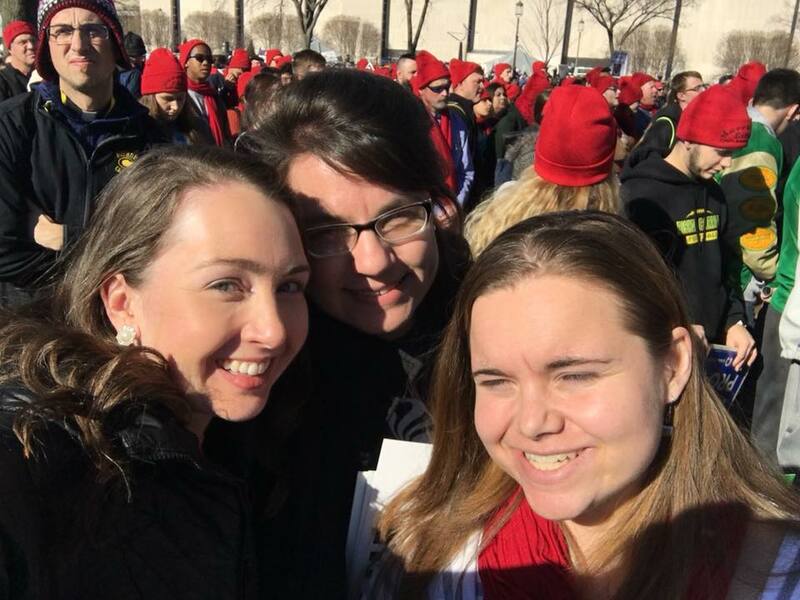 On January 18, 2018, Weronika Janczuk (WYA NA Regional Director), Julia Kenney (WYA NA Director of Operations), and Alexandra Rose (WYA NA Intern) participated in the USA’s 45th Annual March for Life (Washington D.C, USA). Veronica Leach, a WYA Intern alumna, also joined them at the event. The March for Life celebrates USA’s constitutional right to life and promotes laws that protect every human person beginning at the moment of conception until natural death. The March For Life peacefully protests the 1973 Supreme Court’s legalization of abortion. It is the largest pro-life event in the world, testifies to the dignity of the human person and communicates that every human life is valued and has intrinsic dignity. Participants include organizations, student groups, individuals, and families. Preceding the march, WYA NA attended the Law of Life Summit. Following that, they held a booth at the Cardinal O’Connor Conference (Georgetown University), the largest pro-life conference in the US. WYA upholds that the intrinsic dignity possessed by every human being from conception to natural death is the foundation of everyone’s right to life and that the intrinsic dignity of the person is the foundation of every human right. WYA believes that this dignity is independent of any individual condition and that no human community can grand or rescind that dignity. Written by Alexandra Rose, WYA NA Batch 1, 2018 Intern. Photo by Julia Kenney, WYA NA Regional Director of Operations.